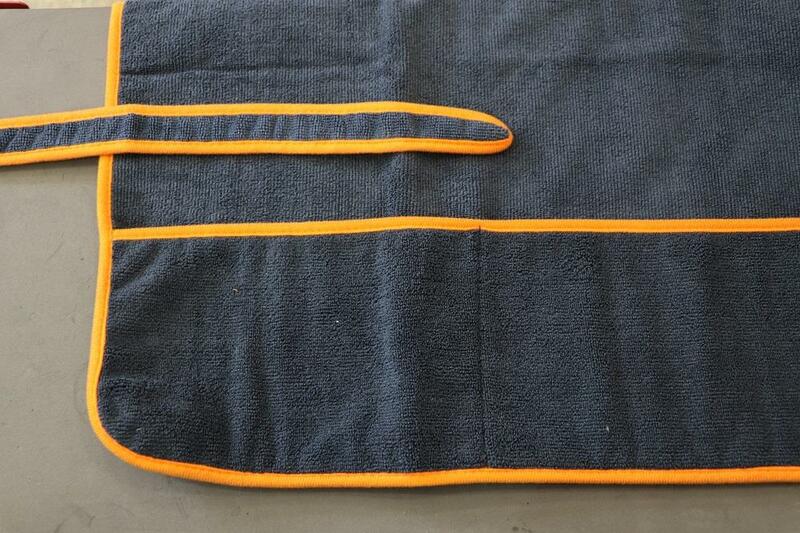 Soft Microfiber Car Detailers Apron 25" x 26" - Best Car Detailing Apron - California Car Cover Co.
Use our Microfiber Car Detailing Apron so you don't have to ever reach across the hood of the car while detailing and get hit with that sinking realization that you've just scratched the paint with your belt buckle or zipper! Yikes! This extremely soft microfiber detailing apron prevents scratches or scuffs while protecting your clothes from detailing products. 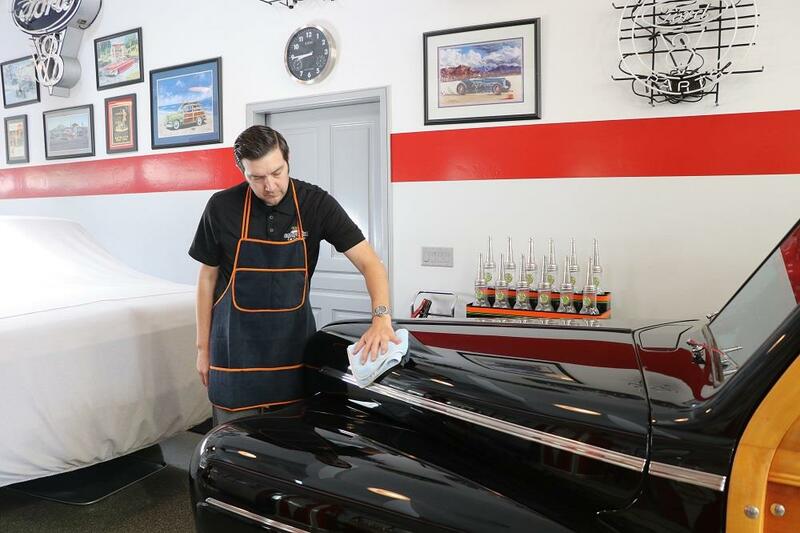 Made of the same material as the microfiber towels you baby your auto with, the one-size-fits-all apron features a pair of convenient pockets to hold your polish or wax and a double-stitched red border. 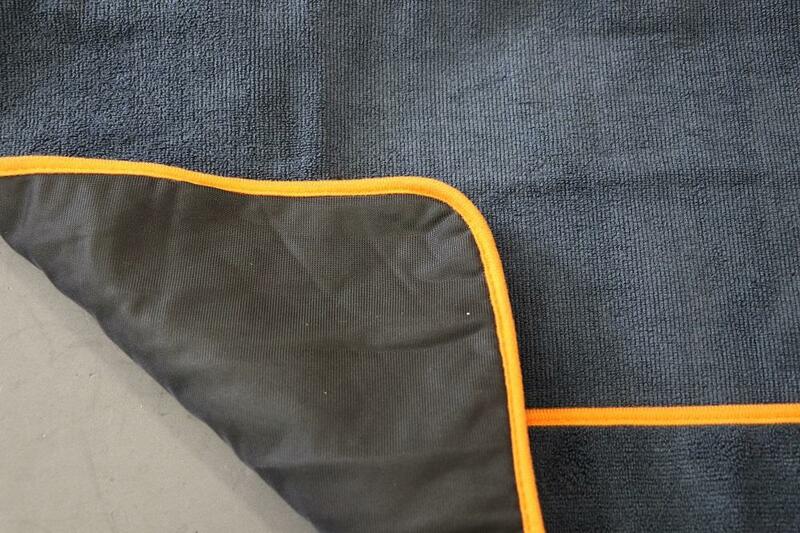 Straps tie in the back, and the neck strap is microfiber as well, so it's soft on your skin. Includes 5 pockets. Pockets measure 12" X 7"